What is the Flemington Ponds project? 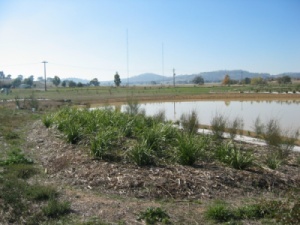 The Flemington Road Ponds project is part of the Canberra Integrated Urban Waterways project announced by the ACT Government in November 2006. The aim of the pilot project is to reduce demand from irrigators on potable water by increasing supplies of non-potable water. Flemington Road ponds non-potable water project is part of the Sullivans Creek water quality improvements. It is a water reticulation scheme to store water in ponds and underground aquifers for the use of large irrigation end users. The project will improve water quality in Sullivans Creek, save about 600,000 kiloliters of potable water per annum, and provide a diversified “fit for purpose” water source at a cheaper cost to end users.